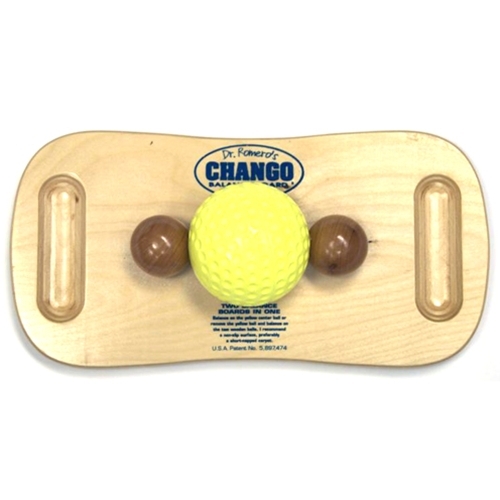 Chango S2000 Model Balance Board from HealthyKin.com helps improve your balance for all sports. This is accomplished by activating muscles to work in cooperation with one another for good bone movement. This interaction with the nervous and musculoskeletal systems may help improve balance, coordination, and quicken reflex time. Standing on the Chango S2000 Model Balance Board with a variety of stances may cause an increased number of muscles to be stimulated. Upper torso push ups using the Chango S2000 Model Balance Board may have the same stimulating effect. The inner ear is also stimulated by movement and this helps develop balance awareness. The increased angle of tilt in all directions of the Chango S2000 Model Balance Board makes it far superior for muscle, tendon, and joint stretching movements. The end result is that the body may be trained to perform better. 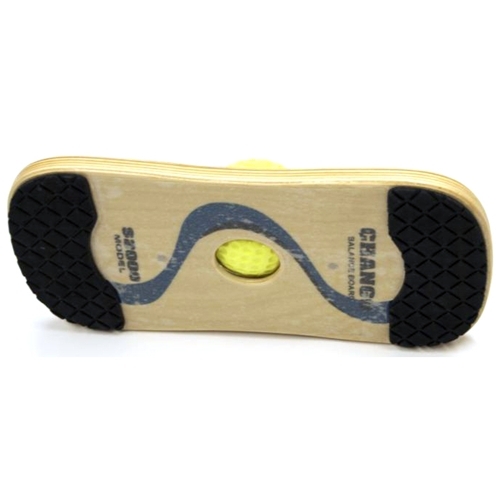 The Chango S2000 Model Balance Board features two balance boards in one. 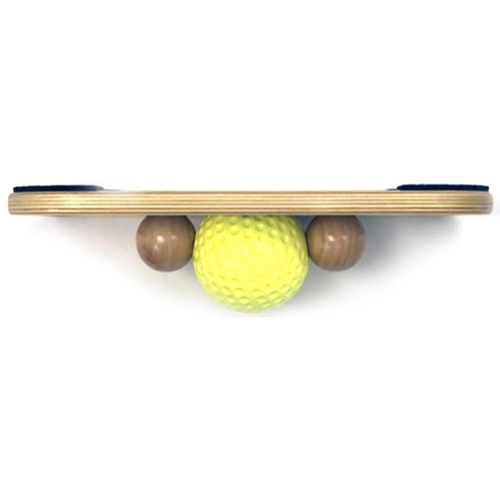 Balance on the yellow center ball or remove the yellow ball and balance on the two wooden balls. Placing this product on a non-slip surface or short carpet is recommended.